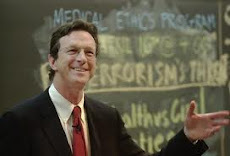 There is now an Official Michael Crichton Page on Facebook. Prior to that, there was another Michael Crichton page that appeared to be the official page. It was created in April 2008. There used to be a discussion board but that has been removed. In addition, there is a page that tracks Michael Crichton-related posts on Facebook. It seems to be associated with Wikipedia. The new official page contains film clips, quotes, and a discussion board. Check it out!